European prejudices can take root among Asian elites. Take for example the short book ‘The Jews of the Orient’. 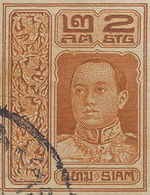 Its author was Vajiravudh, King Rama VI of Siam who succeeded King Chulalongkorn in 1910. Vajiravudh had been educated at Sandhurst and Oxford. He was a passionate Anglophile and a prolific author: he translated both Agatha Christie and three plays of Shakespeare, including ‘The Merchant of Venice’. ‘The Jews of the Orient’ invested Asian anti-Sinitic tropes with European stereotypes of Jews. A century after the Siamese King published his poisonous tract, and six decades after the European Holocaust, Malaysian Prime Minister Mahathir Mohamad addressed the Islamic Conference on 16 October 2003: Jews, he proclaimed, ‘ruled the world by proxy’: he called for a ‘final victory’ by the world’s 1.3 million Muslims – we cannot, he told the Conference, be defeated ‘by a few million Jews’. 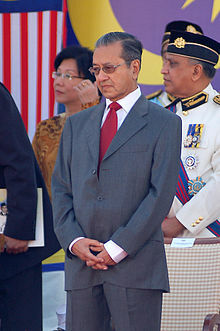 Malaysian Foreign Minister Syed Hamid Albar backed his boss: ‘I'm sorry that they have misunderstood the whole thing. ... Please forget about anti-Semitism [sic] ... The PM's message is to stop violence, which is not the answer for us to succeed in our struggle. People may not be very happy but this is the reality: the Jews are very powerful.’ For how many Muslims did Mahathir speak? According to one Malaysian blogger, Mahathir is too friendly with Jews - he's not anti-Semitic enough! Here we have curdled medieval fears of 'Jewish plots' - and a Manichean fantasy of a final victory. Racial poison can travel a long way.